Bathroom remodel work tends to be the most tedious part of renewing your house or apartment. Without a doubt, this room takes a special place in our lives. So it is natural to aim for the skies when it comes to decoration. The interior should make an impression of perfect cleanliness, subtle comfort and calming coziness. This is usually the first place you go to after a hard day of work. Guests will often judge your personality based on how neat and tidy your bathroom is. Color palettes and contrast are essential when it comes to bathrooms. For this room you want bright hues with cold lighting to highlight the cleanliness and make the room more spacious. Warm lighting works well too, but make sure to use powerful light sources. The most common solution for flooring is tiles: classic white adds air into the room, peach and pink tones give a feeling of luxury, and blue tones give off a fresh marine feeling. If you're floors aren't heated, don't forget to texturize by adding a cozy rug to complete the space. 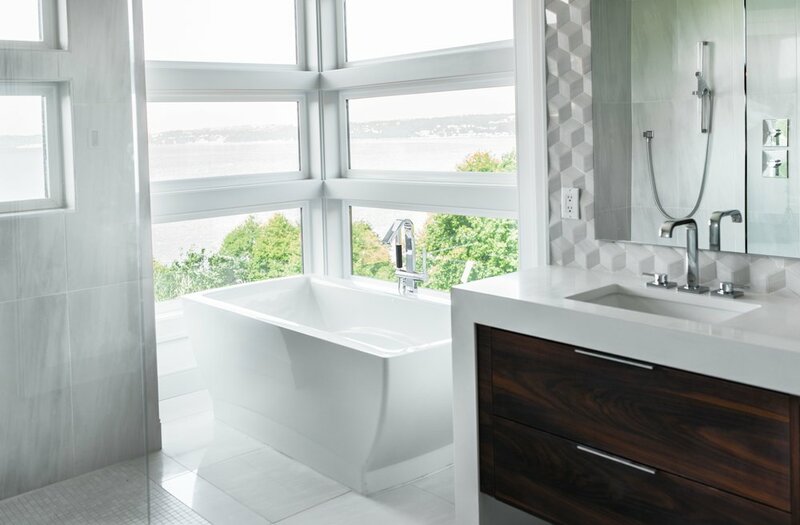 When we talk about bathroom remodeling, it's not always about tiling or stretch ceilings. Furniture is also a very important part of the interior. Small cabinets to organize your cloths or a big one with glass doors to display folded robes and towels could be a good option. Don't forget about mirrors! They are a must have in any bathroom and with the right mirror you can make your bathroom look truly gorgeous. 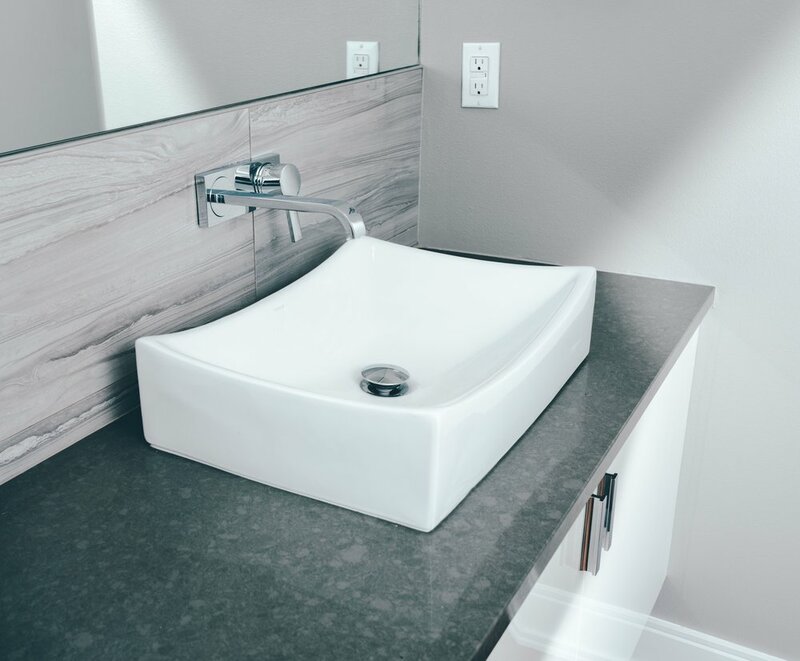 The most common place for a mirror is directly above the sink. Consider also embedding one in the wall directly beside the bathtub. 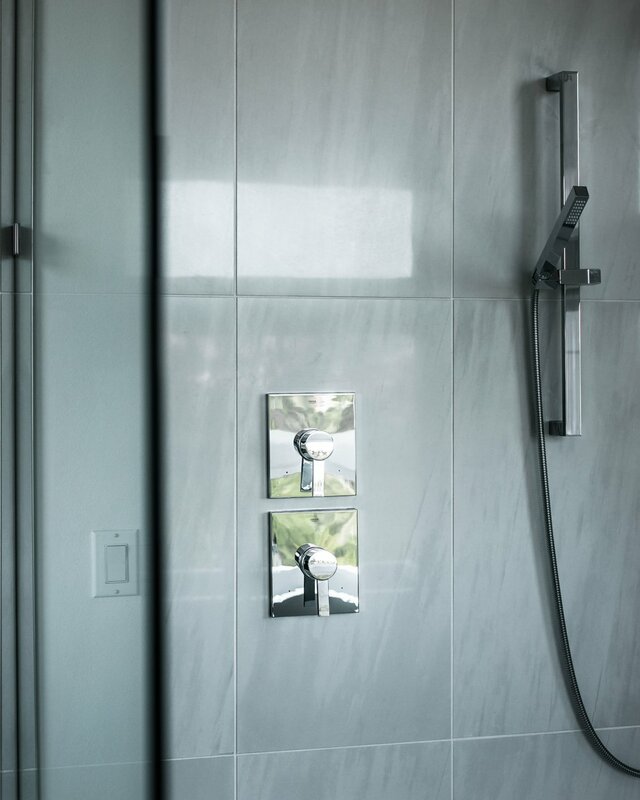 In some designs, you may spot a mirror embedded in the bathroom door. That way you have a full-length mirror and plenty of wall space left for shelves, hanging cabinets or decoration items. 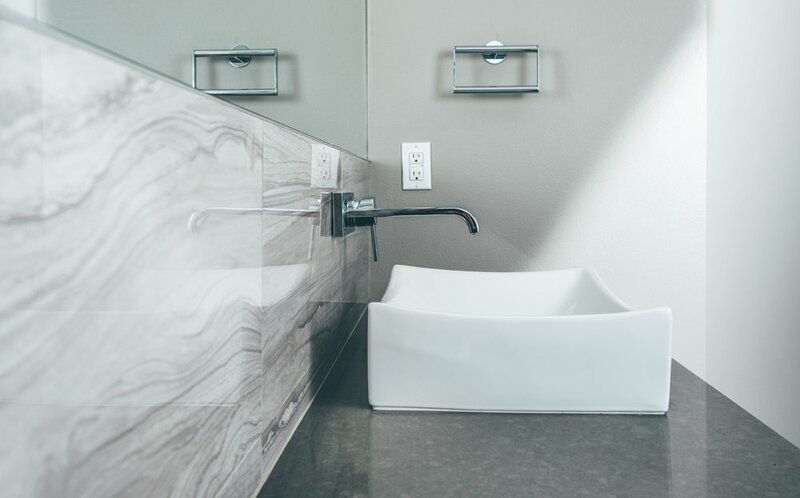 For small bathrooms, in some cases, it is better to not install a bathtub. Shower cabins are a great alternative that will leave you the space. But I wouldn't trade hot water and relaxation of a bathtub for anything! 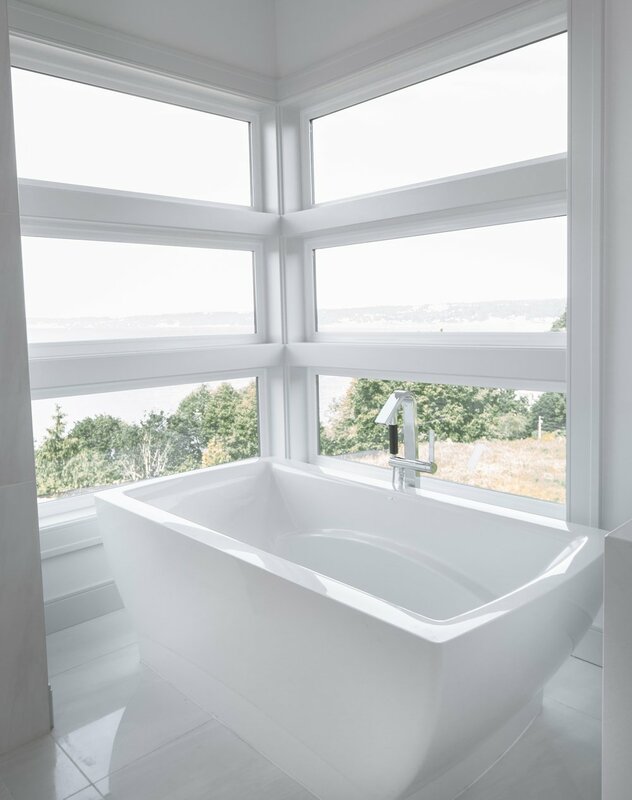 You can always have a hybrid option if you have the space: a bathtub with a shower head and a curtain. Speaking of which, make sure your bath curtain goes well with your room design: you can pick vibrant bright colors to cheer the place up a bit, or calm and warm ones to add to that meditative atmosphere. 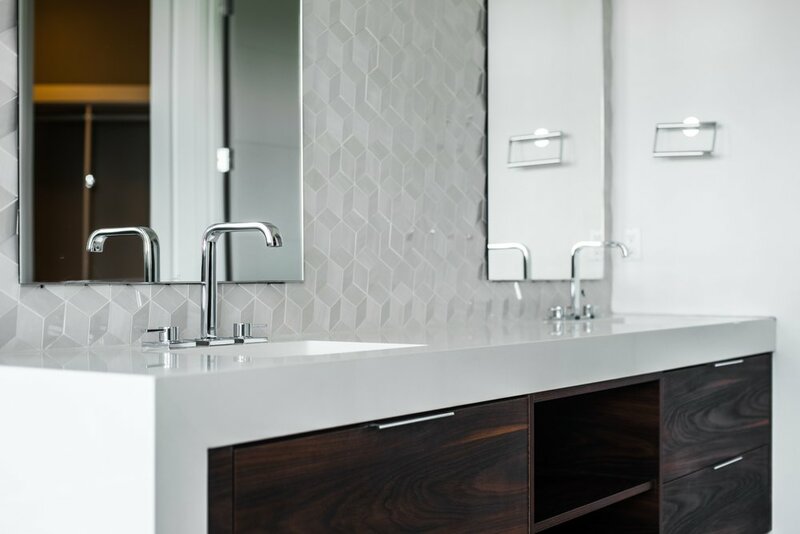 Make sure you use the best quality materials and appliances when remodeling your bathroom. It is very important to provide good insulation for your tiled floors and walls to protect from moisture damage. That is why you should also ensure good air circulation, so the air doesn't get too damp overtime, as this may lead to mould formation. If you've started remodeling your bathroom always take into account the accessibility of all cleaning spots. It is always a good idea to make cleaning easier and quicker by intentionally placing furniture objects: cabinets, sinks and so on. There you go - some tips for remodeling your bathroom!